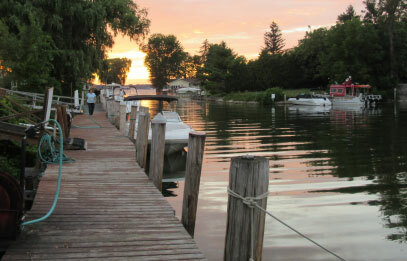 A family-friendly marina offering first class berthing, maintenance and storage facilities on Cayuga Lake. Trade-A-Yacht’s Hibiscus Harbor Marina is nestled on the eastern shore of beautiful Cayuga Lake offering facilities and maintenance services in a quiet, relaxed setting. Established in 1973, Trade-A-Yacht’s Hibiscus Harbor Marina in Union Springs, New York, is located on the east side, north end of Cayuga Lake, midway between Syracuse and Rochester, New York, and just west of Auburn, New York in the beautiful Finger lakes Region. Hibiscus Harbor offers outstanding value, first-class facilities and personal service. Seasonal Slips are available. The season runs from April 1st through September 30th each year. Transient boat slips are also available so you can stay over and explore the wonders of Upstate New York’s Finger Lakes region and wine country. Our Facilities include 200 seasonal boat slips, 50 transient boat slips, a boat launching site, parking permits, boat rental, picnic areas, electrical hook-ups, cable TV hook up, pay telephone, hot showers, flush toilets, and marine sewage pumpout. A fuel dock with easy accessibility offering gasoline and diesel is open 7 days a week. We are handicap accessible. 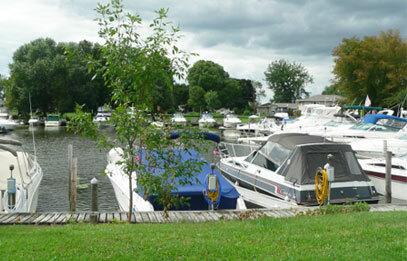 We are also accessible to the New York state barge canal and Seneca Lake. 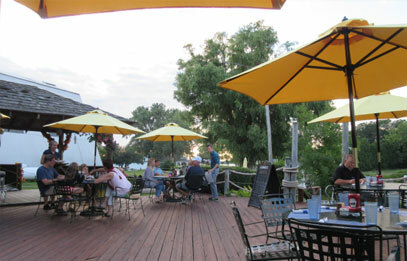 Our facilities also includes The Wheelhouse, a full-service restaurant and bar, outside deck with Tiki bar providing a full menu. Come by water and enjoy easy docking. Relax at our beautiful in-ground swimming pool or play tennis on our beautiful tennis courts. A large, fully-stocked Ships Store offers food, ice, supplies, electronics, and more. We also boast a 35-ton capacity boat hoist. We offer a complete, full-service boatyard with certified mechanics, Kohler generator sets, and Yamaha certified technicians. Electronics packages are also available. In order to provide fast, quality service, we have the longest gas dock in central New York. We also monitor VHF Channel 16.